Shutter Speed Bulb, 30 sec. to 1/4000 sec. "This newly developed lens offers a focal length of 23mm (135 equivalent: 35mm) that lets you capture a wide range of subjects while maintaining high resolution and optical clarity. 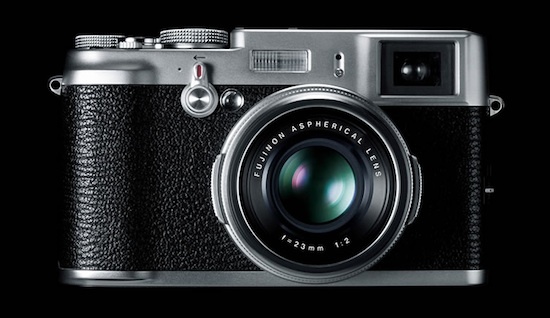 It also features a large F2 aperture which not only delivers both ample brightness and high contrast sensitivity, but also achieves a high level of resolution when the aperture is closed by 1 or 2 stops." 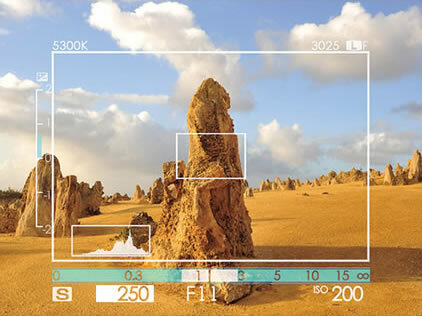 The Hybrid Viewfinder combines the window-type “bright frame” optical viewfinder found in high-end film cameras, such as 35mm or medium-format cameras, and the electronic viewfinder system incorporated in fixed single lens or mirrorless digital cameras. 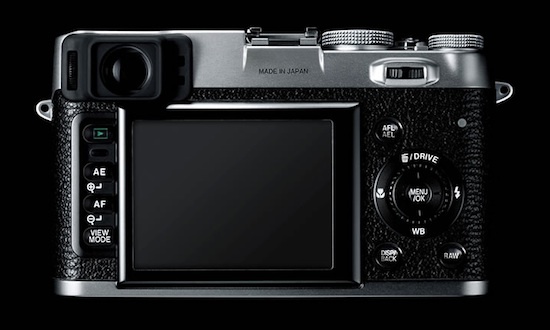 For more details see the official Fujifilm Finepix-x100 website and the full press release at fujifilm.com.